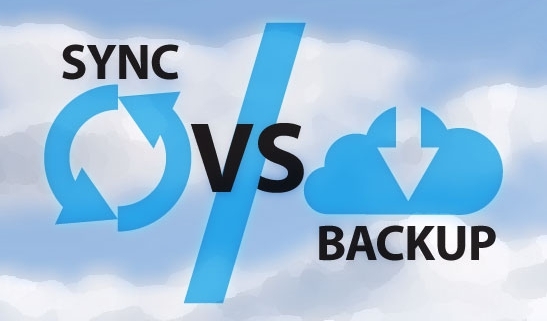 To Sync or Backup, What Is the Difference? Unless you live in a cave, then you probably know how important it is to back up your computer data. However, you also know that files and documents and any other important information stored on a computer can be lost at any given moment due to a hard drive crash, a computer glitch or even human error. Yes, we all make mistakes. It happens. So, there’s no question we all need to back up important data; and we shouldn’t put it off. You might say that syncing is just as good backing up, right? In a word: it’s not. Ok, that’s two words, but you get the point. File syncing is not the same as backup. When you use a syncing service, like DropBox for example, you are not really storing information long-term. When you sync something you are applying any changes you make to that file on every system or location in which that file is found. In other words, if you make changes to a document on your computer those changes are also applied to the document carried on a syncing system. Backup, including cloud backup, is completely different. When you back something up to a hard drive or remote server they stay there until you decide to delete them. Any changes you make to a given document or file after a backup won’t change anything you did prior to the backup. If you need a file from last week, last month or last year, it will be there exactly the way you backed it up. Plus, by backing things up incrementally each backup builds on the previous one. In fact, using a dedicated cloud backup service like KineticD can give you unlimited incremental backups if you choose. Why Should You Backup and Not Just Sync? Don’t get us wrong; syncing files is a good thing to do. Syncing keeps important information up-to-date across the different locations that a file is found. This ensures that everyone who has access to the file or document has the most current and updated information. However, syncing will not ensure that your files are safe. Imagine if someone accidentally deletes a file in Dropbox, for example. Unless it’s stored on a hard drive, that file is gone. You can’t trust your vital computer data to syncing; you must back it up. Using cloud backup, like the service we offer at KineticD, is a safe and sure method to store all of your important information. When it comes to storing, accessing and managing your computer data you need secure and reliable backup. Cloud storage is one of the best ways to keep your information safe from others and safe from loss. By using KineticD’s cloud backup services you will not only ensure a constant flow of accurate and timely backups you will also be confident that your information is safe from being accessed or altered by someone who doesn’t have that permission. So in summary, go ahead and continue to sync as needed, but take the time to backup your information as well. You will be glad you did. https://datadepositbox.com/wp-content/uploads/2014/03/blog-sync-vs-backup.jpg 335 547 datdepbox https://datadepositbox.com/wp-content/uploads/2018/08/datadepositbox-logo.png datdepbox2014-02-25 09:00:282014-02-25 09:00:28To Sync or Backup, What Is the Difference? Most people are aware that the risk of hackers or other kinds of storage breaches are always present. Even the government has been known to spy on its citizens and to what level they still do that is not completely known. The bottom line is that if you have important information that you don’t want the wrong people to see and have access to, you need to store it in a safe place. Who Might Be Spying on You? The list of people or entities that may be spying on you is endless. One of the biggest culprits might be the National Security Agency (NSA), which is the United State’s largest producer of intelligence management. It’s constantly tracking endless amounts of information, which include yours. Meantime, if you’re in any kind of competitive business — and let’s face it, there is competition in all business — you are susceptible to losing proprietary information to one of your competitors via spying or hacking. KineticD is located in Canada and that’s important because Canada has a structural advantage over other locations because privacy protection is more stringent there. Canada also provides lower cooling costs, which is another big draw for storage servers. You don’t want the servers on which your vital computer data is stored to suffer outages because of overheating. Send it to Canada and you will pay less for the cost of keeping it cool. By putting your important and private data on remote cloud backup servers you can ensure that it won’t be hacked by unwanted eyes. By putting this information on a cloud it will keep it off of your personal server or hard drive, which means it will be safely hidden from hackers or from system failures. Plus, it will always be easily accessible via the Internet whenever you need it. Safe Data Center – your information is carried inside a shelter of a SSAE 16 certified data center. In other words, it’s safe. Simple Access – you can access your data with a valid password through KineticD’s web-based administrative console. Physically Secure – our servers are stored inside a Tier 3 data center whose gated perimeter is guarded 24/7/365 by on-site security officers. Technicians and electronic keycard access, as well as dozens of security cameras located both inside and outside of the building also protect this center. Data Encryption – when we start the backup process of all of your information we secure your files with a 448-bit Blowfish encryption key. We then transfer your data to our servers via a secure SSL connection. Remote Backup – an important part of any cloud backup service is the remote, or offsite, backup plan. At KineticD our recovery plan in the event of disaster includes protection against theft, accidental deletion, hardware failure, natural disasters or virus attacks. 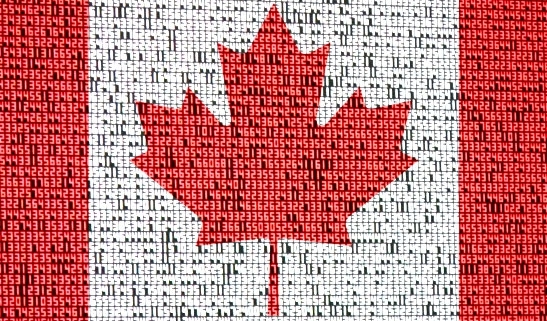 KineticD is securely located and protected in Canada and is a great place for U.S. businesses to safely store their data and keep it hidden from the NSA, other government entities and competitors. So if you’re looking for a secure place to store and protect your vital computer data ship it to Canada and KineticD will keep it safely tucked away from unwelcome eyes.